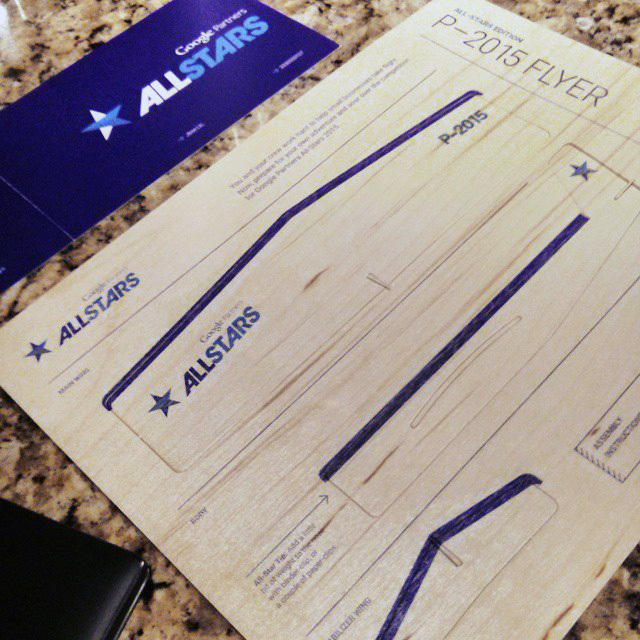 joshredux posted on Instagram an invitation he received to the 2015 Google Partners Allstar event, this invitation was special, it was in the form of an airplane cutout flyer. He said, "Google gave me an airplane! Who wants a ride?" Google hosts an event yearly to invite their top AdWords agency partners to the event. I think it is related to partnersallstars.withgoogle.com.